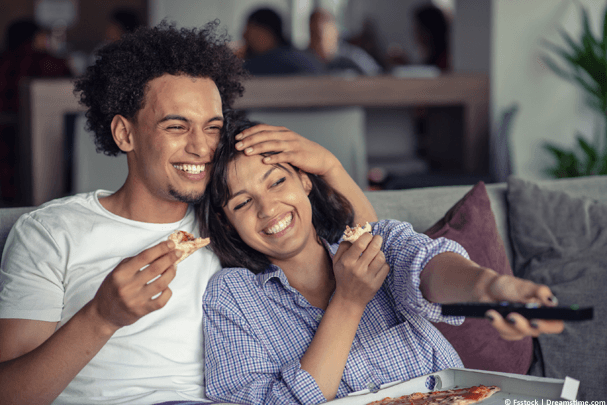 Watching Foxtel Go in the UK might seem difficult but in this guide I’ll be showing you how you can be watching your favourite Aussie networks in just a few minutes. Australia and the UK have a long and friendly history, the Brits and the Aussies are similar and different at the same time. We love nothing more than a bit of friendly banter and competition either with jibes or in sporting events (of which Australia mostly win, to my dismay!). In was estimated in 2008 that there were over 400,000 Australians living either permanently or semi-permanently in the UK which makes up the largest portion of Australian diaspora in any country in the world. In 2010 1 million Australian tourists also visited the UK with only the United States bringing more long-haul visitors. If you’re one of those temporary or more permanent visitors you’ll be itching to watch Foxtel Go. It’s why I’ve written this guide to show you that you can watch Foxtel Go in the UK and it’s relatively easy too so even if you don’t consider yourself a computer wizard then the easy step-by-step instructions will be simple enough to follow. The first thing you need is a Foxtel Go account, it can be yours, your families or even a friends. If you try to access Foxtel Go or Foxtel Now in the UK then you’ll be blocked from watching. The reason you’re blocked is because Foxtel knows you’re outside Australia and this is determined by your internet connection. There is an app called a VPN that allows you to disguise your location for privacy reasons and make it appear as if you’re located somewhere else. So basically you end up appearing as if you’re in Australia even though in reality you are in the UK and rather than being stopped from watching Foxtel Go or Foxtel Now they will happily stream you what you want to watch. Due to the distance between Australia and the UK speed is always going to be a major issue. The physical distance plays a large role in the speed and quality of the stream you’re able to view. Most providers of VPN services charge around AU$7 -14 per month, but there are varying qualities of providers. It’s important to pick a fast VPN otherwise you’ll be bugged with buffering and other issues. To watch Foxtel Go or Foxtel Now in the UK, you need a fast provider so I’ve listed three suitable options that all have Australian servers and will be great choices for this purpose. You can visit any of them by clicking their name below. Foxtel Go is available for tablets and mobiles so the first thing to do is ensure you’ve got the Foxtel Go app installed on your device. If you prefer to watch on a PC or Mac then you’ll need to visit the Foxtel Go website. When you sign up to one of the VPN providers above they’ll supply links to download either their apps for iOS or Android or their PC or Mac software. Depending on which device you want to watch on, download the required app or software. You can alternate between devices, you aren’t locked into just using it on one. The mobile apps and computer apps work almost the same. 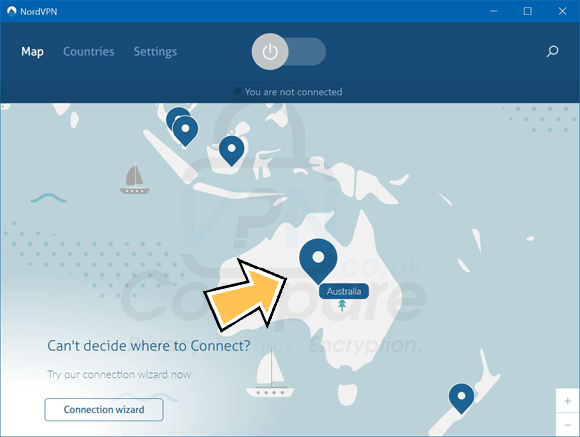 In the image below you can see NordVPN connecting to Australia. Unblock Foxtel Go in the UK with NordVPN. Once it’s connected all you need to do is open your Foxtel Go app or visit the Foxtel website. You can now watch your favourite shows from Foxtel Go in the UK. If you still have trouble streaming then use the countries selection list and select a different server or city in Australia and reconnect. You’ll now be able to watch any show as if you’re back at home in Australia. Sorry to be a wet blanket but I paid for a month to try IPvanish and I didn’t get to download the software, let alone try it. The instructions I got led to nowhere, even the temp login details were wrong. Would you persist with a software like that? I admit I could be an exception that breaks the rules but still. Talk about cancelling the sub?? sheesh it is hidden so deep you need to be a miner. sorry but never join a crowd that demands payment before you try, ever again! I’m sorry to hear you had a bad experience, although you’re definitely a rare case as most of the feedback we’ve received about IPVanish has been positive. The software can easily be downloaded from the VPN Apps area of their website. Did you have any specific issue? You mention you weren’t able to use the “temp login details” but also couldn’t download the software? If this is the case where were you attempting to enter the temp login details?